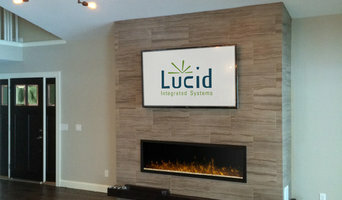 Lelch Audio Video is a local, Minneapolis based company that is passionate about home technology. We specialize in custom design, installation, calibration and programming for home theaters, surround sound systems, media rooms, whole house audio, wireless music systems, security and all aspects of the modern smart home. Stop in and visit our brand new 3500 SqFt showroom today! With the sophistication of today’s electronics, homeowners have unlimited options when designing a truly modern home that integrates security, audio, video and home automation. Whether your looking for a basic entertainment system or a fully integrated home electronic system, we can design a solution that will delight you and your family. No matter what style of home you have or plan to build, we can help you make it more comfortable and convenient. By custom designing integrated home systems using the best of today’s technology, we can help you plan for the future. You can look forward to personal attention far beyond what you would receive from a large retail chain - at competitive prices. And you have the peace of mind of continued service from a local company that’s been in business for more than 20 years. When Don and Tracy Hains first started Sure-Lock-Homes in 1985, they kept customers safe with reliable home security systems. Over the years we’ve grown, and today as SLH Home Systems, we’re still keeping that commitment and bringing the latest home technologies to you and your family. Our team works closely with builders, remodelers, designers and homeowners to create custom-designed home electronics systems that are reliable and easy to use. We also provide top-notch ongoing service to keep your systems running smoothly. As a leading home electronics systems design and installation company in the Twin Cities, we specialize in tailoring electronics systems to meet each client’s needs and dreams, while providing up-to-date information, advice, technology and installation. From the first conversation to the final installation, Magnolia’s Design Centers are with you through every step of your home entertainment journey. It all starts with a conversation either in our stores, or with an in-home consultation. From there we work with you through every step of the project, from product selection, to design and installation. To help you through this journey we have dedicated teams of System Designers, Project Managers, Engineers and Installers. We’ll even work with your architect, builder or designer to ensure you get the home entertainment solution of your dreams. And when it comes to the perfect gear, experience it first hand in our showroom environments that include an inspirational family room and dedicated demo rooms. It’s there where you can explore our incredible selection of the finest audio, video and home automation brands that include McIntosh, Sonus faber, Bowers & Wilkins and Savant. Visit your nearest Magnolia Design Center today, and turn your home entertainment dreams into reality. Serving the Minneapolis and St. Paul area, Acoustix Audio Video is a technology systems contractor that specializes in the design and installation of custom electronics solutions for both residential and commercial customers. We are committed to providing our clients with exceptional customer service while offering the latest technology in the industry. Acoustix Audio Video offers a full range of audio, video, home theater, security, and home automation solutions to both residential and commercial customers. Our expert and experienced designers and technicians work closely with home and business owners, contractors, builders and facilities managers to plan, develop and install high-performance electronic systems and solutions that enhance lifestyles, improve communication and secure property and loved ones. Residential remodels. Room additions. New construction. Standard installs and upgrades. Conference and board rooms. Digital signage and menu boards. Waiting areas. Acoustix does it all. AVID provides intuitive solutions for complex systems. Imagine checking in on your security, HVAC or any other intrinsic service; control whole home audio, video, lighting or blinds. Open your blinds in the morning to let the sun in, or shut them in the afternoon to keep cool and green. Unlock your door from your phone, while still in your car allowing you to keep your hands free for groceries. More importantly, make sure they're locked while away from home. AVID, believes in offering the best in today's technology, products, and systems. We believe in providing a positive experience both during the design and decision process, as well as leaving you with a system you and your whole family are able to enjoy. Everyone you speak with at AVID knows intrinsically, beginning to end, how systems of this caliber function. AVID takes pride in knowing nearly all of our business is referral-based. Our job as technicians is to be your guides and trusted advisors during the entire process. Admit One Home Systems works with you to design and install the most efficient and simple-to-use, home automation, theater, audio or security systems. We collaborate with architects, homeowners, builders, remodelers and interior designers to provide home automation solutions that create maximum comfort and convenience. In-Focus Systems was founded with the overall goal to help homeowners, builders, & remodelers navigate the ever changing maze of electronics and new technology. Our goal is to design tailored solutions that will allow this technology to enhance productivity, maximize comfort, and make technology more enjoyable for everyone! Would you like to see if the kids left the bedroom lights on while at the office from your smart phone? Are you tired of doing the remote dance when it’s time to watch your favorite show? Do you want a Cinema experience in your own home? From Lighting Control, Personalized Home Automation, Home Theater/Media Rooms, Security, Surveillance, and collaboration tools to make work more efficient; At In-Focus Systems we have the experience and expertise to make it happen. With over 75 years combined experience our team makes complex technologies simple and easy to use. In-Focus Systems has earned a reputation for engineering and installing comprehensive systems that blend seamlessly with your lifestyle. We are committed to providing the highest level of integrity, craftsmanship, and cutting edge technology while keeping our clients needs In-Focus. This is accomplished in an environment where our customers, employees and vendors are valued and respected. Our qualified team has the knowledge and experience to handle every phase of your project — from planning thru implementation and support. Quality products, superior workmanship and attention to detail have earned us a great reputation and a long list of satisfied customers. We design functional technology systems that integrate comfortably into your home or business. It’s our goal to improve and simplify your lifestyle at the same time. Safe & Sound is a leader in the design, installation, and implementation of both home and commercial technology systems. Architectural Audio Integrators strives to bring a seamless fluidity to all of your home experiences. Our goal is to bring you the highest quality home integration while making it easy for all to use. Architectural Audio Integrators is based in Minnesota. Our 20+ years of providing impeccable custom installations are ready to serve you. 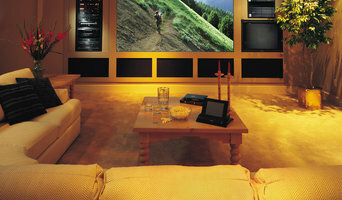 We specialize in house-wide audio and retrofitting theaters in existing homes. Entertainment Designs has been regarded as an authority in high-end audio and video home entertainment systems in the USA since 1985. From its inception, Entertainment Designs has had a significant presence in the A/V community. They have been awarded countless times by several high-end manufacturers for their outstanding performance. The company has also been built on complete customer satisfaction and trust. Their vast experience and complete dedication come together to provide their clients with a solution that exceeds their clients’ expectations. Entertainment Designs’ design consultants and installation technicians have a wealth of experience in designing automated home entertainment systems that are personally customized to fit your specific needs, while taking into consideration an individual’s lifestyle and imagination. Many stores and many products have come and gone in fifty years, opening in 1964, but Stereoland has stayed on the cutting edge introducing new technologies while maintaining a small store attitude towards customer service With the opening of our first store in the Uptown area of Minneapolis, Stereoland has long been considered a landmark merchant in the Twin Cities! Our staff represents over 50 years of audio and video experience. Our reputation is built on offering superior products and a high level of personalized service. When you expect exceptional quality in your audio and video experience you need Stereoland. We analyze your needs and make recommendations, based on your expectations, budget and overall style. Whether you purchase one component or a whole system, you can be assured of top quality products, outstanding value and top notch service. AVSi is a Technology Systems Contractor. Specializing in Custom and Highly Advanced Audio, Video, Entertainment Lighting, CCTV, Alarm, Controlled Access, and Data Network Systems. Founded in 2016, AVSi offers Quality and Value-added Design Build Technology Systems available to Residential Consumers, Retail, Corporate, Restaurant, Hospitality, and Entertainment Businesses. AVSi has re-invented what a Technology System Contractors is by creating an All-in-One Contractor encompassing all aspects of Technology Systems. AVSi is defining the way a Contractor provides its services with a small company relationship style and attention to quality while producing big company results. Creating relationships and providing prompt and quality service is what drives our passion towards this trade. We pride ourselves in Quality and Professionalism. Home media specialists not only can design the seating and decor for your dream home theater, but most of them can help you find specific media control options, conceal your television and various accessories, set up optimal seating, choose and install ideal lighting, and help create the ultimate viewing environment. Some of these Minnesota professionals work entirely on their own, while others work with subcontractors to get the job done. Here are some related professionals and vendors to complement the work of home automation & home media: General Contractors, Interior Designers & Decorators, Paint & Wall Covering Dealers, Furniture & Accessories, Specialty Contractors. Find a home media designer on Houzz. Narrow your search in the Professionals section of the website to Eagan, MN home media designers. You can also look through Eagan, MN photos by style to find a room you like, then contact the professional who designed it.